43rd Annual Music Under the Stars Concert Series - Looking for Entaintainers!! 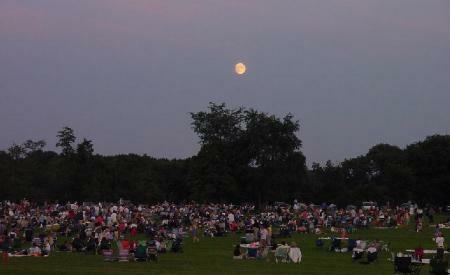 43rd Annual Music Under the Stars Concert Series - Looking for Entertainers!! Date: Saturday, March 9… pre-registration is not required. Time: 9:00 AM to 2:00 PM… tours begin every 20 minutes and last about 1 hour. Dates: Wednesday, March 6 and Friday, March 8…pre-registration required; call 908-782-1158. Time: 9:00 AM to 5:00 PM… Tours scheduled every 30 minutes and last about 1 hour. Native Americans discovered the sweet quality of sugar maple sap before written history. For hundreds, maybe even thousands of years, Native Americans would set up camp in a stand of sugar maples during the sap run. The sugar they produced was an important food for them and for the colonists, who learned the process from the Native Americans. It was only during the 1930s when maple sugar took the form we use today: syrup! Experience first-hand the North American tradition of maple sugaring at Hunterdon County’s Maple Sugaring Program. You’ll take a trip through time to experience the art of the sugaring process. Along the way you will see an early American Frontiersman taping his trees, visit a sugar “farmer” at his evaporator, and enjoy a Native American story about the discovery of maple sap. At the end of your walk everyone will get a free taste of real maple syrup on a silver dollar pancake. Have your group help us collect sap! On weekdays throughout February, we will schedule groups to visit the Sugar Bush. We will discuss how we tap our trees, and we will collect the sap. Experience a different part of Maple Sugaring! Call us to schedule your group. Echo Hill, 1 hour, 6-25 people, ages 5 to adult (kids with adult help), $30 for the group. Families and individuals can sign up for a sap collection program on February 1 or February 16. (see Recreation Programs). 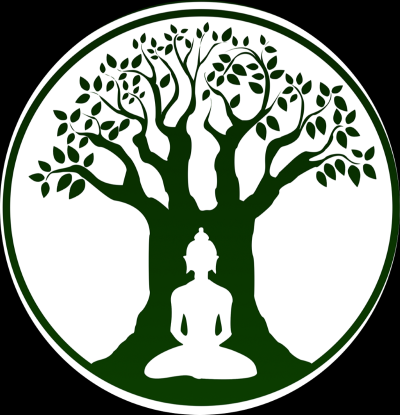 19TH ANNUAL EARTH DAY FESTIVAL: FREE! Park Naturalist Deb Reed tells a Native American story around the campfire at Earth Day 2018. Cost: free! No need to pre-register. Help us celebrate the one, the only, Planet Earth! At 11:00, enjoy a live animal show with Eyes of the Wild. 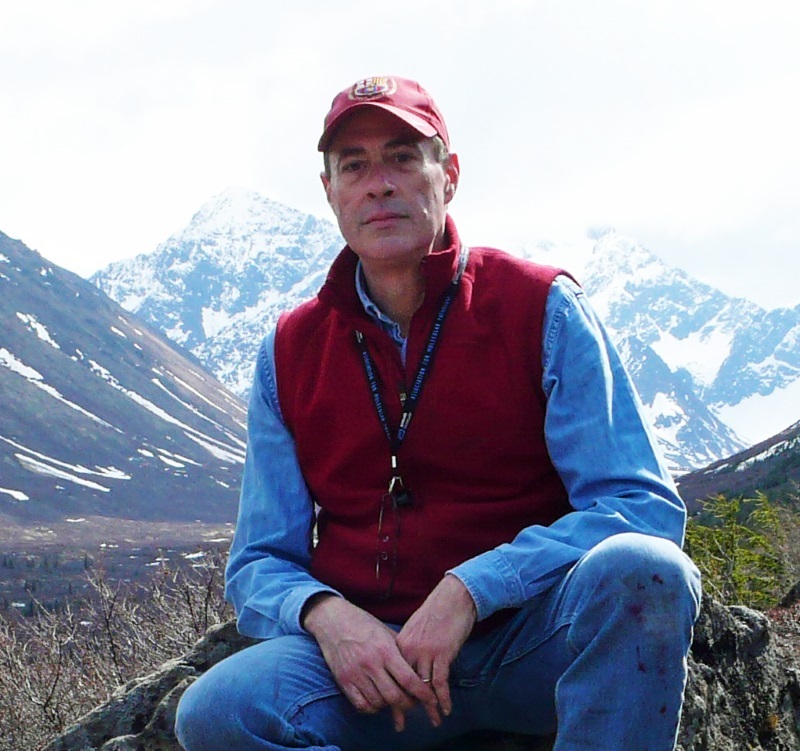 Sing along with “Music in a Natural Key” at 1:00 with Kevin Kopp from Environmental Youth Education Services. Take a hike around the park with our affiliate, the Hunterdon Hiking Club. Meet animals and do other activities with local 4-H clubs. Enjoy a variety of recycled crafts and games. Visit the tables of local environmental organizations to find out what they do. 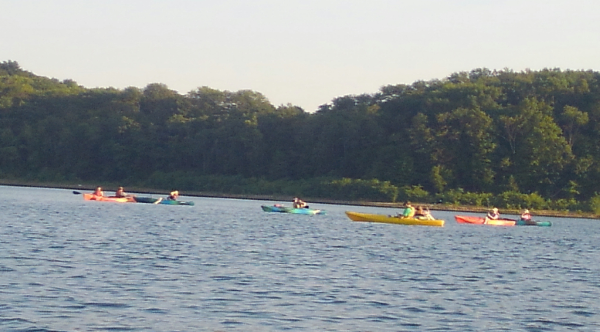 Try out paddling with the Hunterdon County Canoe Club on the pond. Grab a bite to eat at the food booth run by the Boy Scouts. The event will conclude with a campfire, s’mores, and storytelling at 3:00! 2019 Music Under the Stars Concert Series - Planning is Underway!! We hope everyone enjoyed last summer’s concert series! This year, the concerts will run every Thursday from June 27 through August 15. We are looking for entertainers; if you would like to be considered, please contact Recreation Leader Patrick Eckard at peckard@co.hunterdon.nj.us or call 908-782-1158. Watch our Concert Under the Stars webpage for updated information in a few months!!! 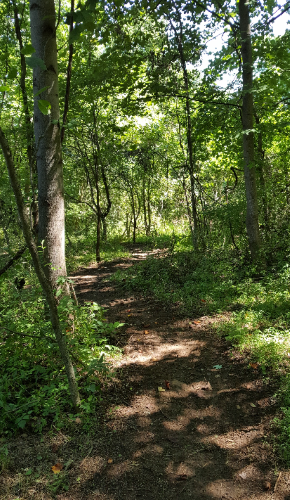 In celebration of the County’s Annual Trails Day Event, the Hunterdon County Division of Parks and Recreation will install a new trail from Crystal Springs to Point Mountain. The trail corridor has been made possible with easements established with Cross Roads Camp & Retreat Center. There will be plenty of work for all as we will form multiple work groups to focus on different sections of the trail. While the trail will use field edges and an old logging road, about ¾ mile needs to be established. 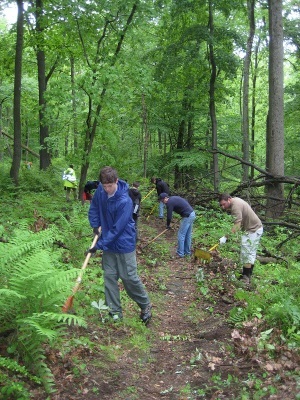 The focus of the project will consist of cutting back brush and vegetation and defining the tread-base for the trail. To aid in project tasks, volunteers are asked to bring their own loppers and clippers. A registration form or volunteer form is required to sign up for the event to help us track participants and aid in planning the event. For interested groups, each member or family must fill out a separate volunteer form. Thanks to generous donations, breakfast and lunch will be available. Meet at the stone house, 30 Pleasant Grove Road, Port Murray (the middle entrance). Registration is required. For a registration form download one from our website at www.co.hunterdon.nj.us click on “Parks & Recreation.” For more information call the Parks Division at (908) 782-1158. Don’t think you can draw or paint, but would like to give it a try? “Everyone has talent, they just don’t know it!” says art instructor and illustrator Lena Shiffman. Using a variety of subject matter, including still life subjects and photographs, Ms. Shiffman will work with students to improve their drawing and painting skills. Students may work in charcoal, pastels, oil, acrylic, or watercolor paints. Students supply their own materials. Beginners, please bring charcoal sticks and charcoal pencils, an eraser, and a medium sketch pad (14 x 18”) to the first class. Material list will be supplied at the first class. Join us for a day or evening class of fun in a relaxed atmosphere; you will be amazed at what you can accomplish! All ability levels welcome! Calling all artists to join us for a week of art boot camp at the Arboretum. Spend five consecutive mornings in a fun and relaxed atmosphere creating with Lena Shiffman. Use a variety of subject matter, including still life subjects and photographs, and some “plein air” if the weather permits. Ms. Shiffman will work with students to improve their drawing and painting skills. 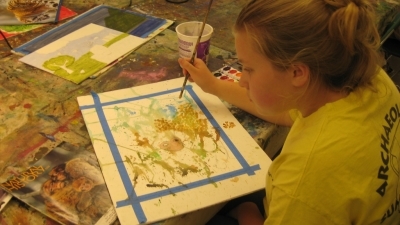 Students may work in charcoal, pastels, oil, acrylic, or watercolor paints. Students supply their own materials. Beginners, please bring charcoal sticks and charcoal pencils, an eraser, and a medium sketch pad (14 x 18”) to the first class. You will be amazed at what you can accomplish in just one week! All ability levels welcome! Don’t miss this chance to have your blooming young artist put his or her heart and soul into creating keepsakes! Learning the principles of creating art with illustrator Lena Shiffman is lots of fun! Explore drawing, painting, sculpture, and more. Ms. Lena’s gentle approach encourages and guides students. Visit different media such as pencil, acrylics, watercolor paint, clay, and paper. Students use still life: stuffed toys, taxidermied animals, photos, and something brought from home. We might also go outdoors to draw nature! The fundamental principles will be the focus: understanding color, composition, and the proper use of materials. Don’t miss this chance to have your blooming young artist put his or her heart and soul into creating keepsakes! Ms. Lena works well with beginners to very advanced students. Remember to dress in old clothing. Since practice makes perfect, students are encouraged to sign up for one session or for both. 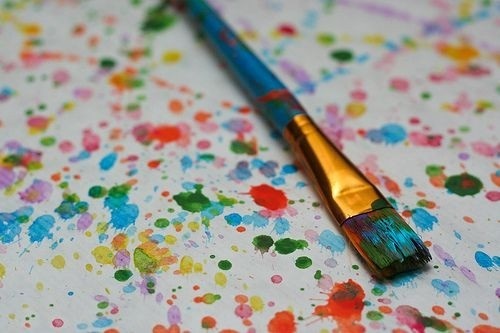 Instructor Lena Shiffman will teach you how to draw and paint! Explore, learn more advanced techniques, and improve your abilities with color, shading, composition, and perspective. Instructor Lena Shiffman’s gentle approach and ability to work with beginners to very advanced students encourages and guides them to expand their creativity. Students work during this studio time to complete their art at their own pace and style. 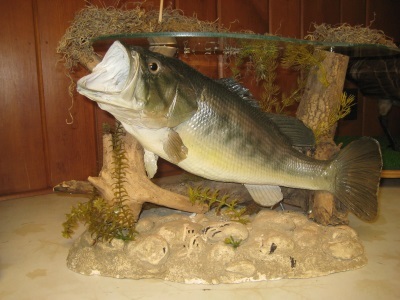 We will work from a variety of still life: taxidermied animals, photos, nature (outdoors if weather permits), and maybe something brought from home. 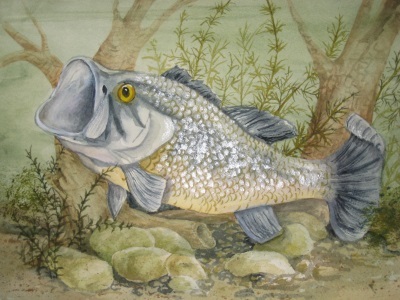 Artists may visit many different media including pencil, charcoal, pastel, and paints. Since practice makes perfect, students are encouraged to sign up for one session or for both. Remember to dress in old clothing. Learn the principles of drawing and painting while studying artists of the past. 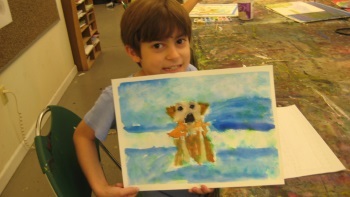 In this fun art class, we will explore paintings by famous artists such as Monet, Van Gogh, and Picasso. Students will study and discuss other artists’ style and use of color and light, and then apply these findings to their own work. Students will work using a variety of media such as charcoal, pastel, acrylic, and watercolor, while painting from still life, photographs, or en plein air painting when weather permits. All workshops are with Instructor Liz Braidwood Fulmer. The Workshops are designed for adults, unless otherwise specified. Any questions contact Liz at lfulmer@co.hunterdon.nj.us. 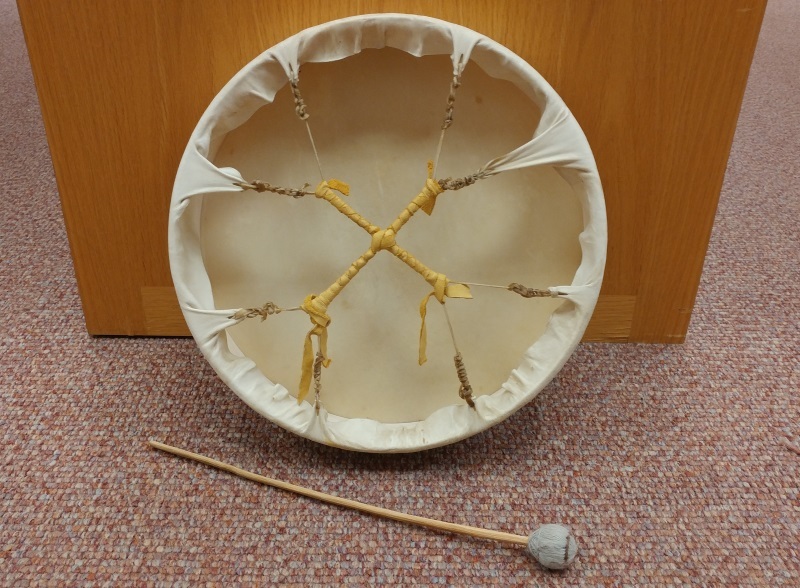 Making your own wooden frame hand drum can be very rewarding and only involves a moderate amount of crafting skills to accomplish. 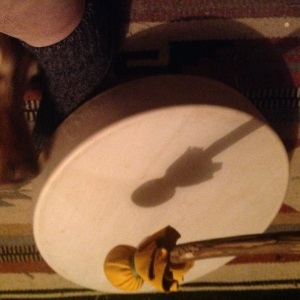 Students stretch a deer hide tautly onto a 14” maple hoop and lash it tight. *PLEASE NOTE: you will be handling wet deer hide. The surface of your drum will be of raw hide, that is an animal hide that has been dehaired, cleaned, stretched and dried but not tanned. Please bring a 12” long by 3/4” thick stick to make a drum stick with. Drum supplies need to be ordered in advance, please register by January 10 at which point no refunds will be awarded. Children 10 and under must be accompanied by an adult & work on one project as an adult/child team. Children 11 through adults may attend solo. Cost is per project. Instructor: Liz Braidwood Fulmer. 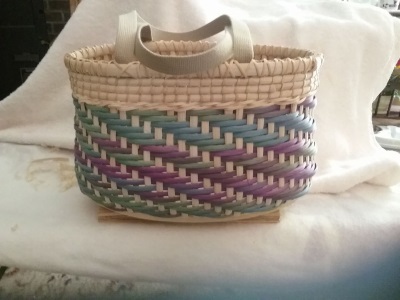 This basket it a great place to start in the world of basket making. This workshop is a great introduction to the art of making baskets. 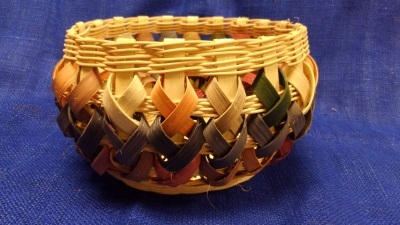 Let’s weave a round 6” in diameter x 6” high round basket on a wood base. Participants have a choice of the color beads and design as they weave. Makes a great Valentine’s Day present. Make your own dream catcher and get rid of those pesky bad dreams. You may have seen coiled baskets being sold along the highways in South Carolina. This coiled basket resembles a very small round raged rug. 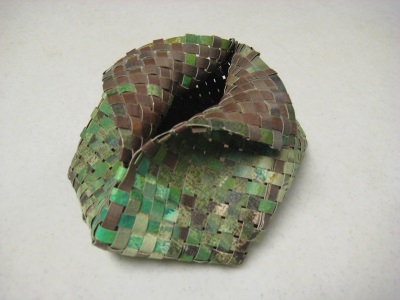 Coiling is a sewing technique that is used to create and connect bundles of long materials such as pine needles, horse hair, and sweet grass. For stitching, try wax linen, raffia, and palm fronds. Coiling takes time to learn and is very time consuming so please understand that you will make a very small dish sample basket. SKILL LEVEL: Easy. This basket is reminiscent of Poo Bear’s honeypot. Starting with a 3” wood base it grows to 9” at the widest and indents back to a 5” hole in the top. It stands about 7” tall. Techniques include tapering spokes, three rod wale and a lashed on bundle of seagrass rim. SKILL LEVEL: Easy. 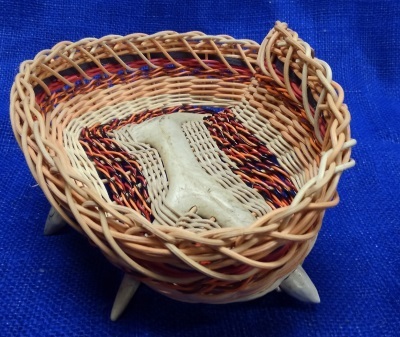 This urn-shaped basket is reminiscent of southwestern Native American pottery. 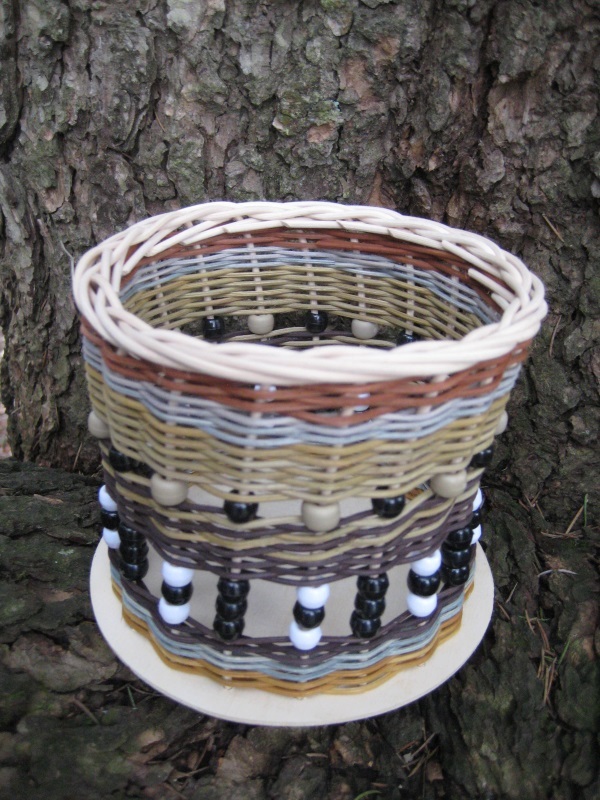 Students twine rows that are spaced far apart, complete the rim, then fill in with a loopy vertical braid using ½” flat reed. 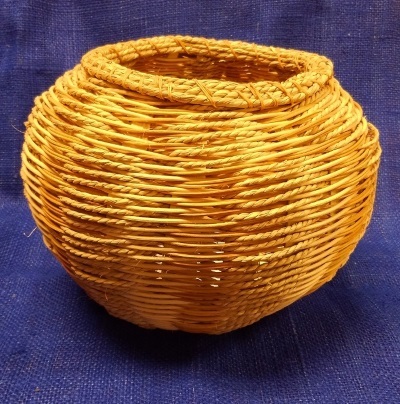 This is a smaller version than the last time we made this basket, 5” base x 7” round at rim. SKILL LEVEL: Easy. Create by painting your personal designer paper. Using the paper make a small diagonal weave basket. SKILL LEVEL: Moderate to Difficult. Start by inserting spokes into an oval wooden slotted base. The sides are woven with light and dark purple and light and dark teal tie-dyed flat oval reed in an over three under two spiral pattern. Three rows of lashed on flat oval create an eye-catching top. The basket features two side handles made of shaker tape cloth. Bring lunch and a drink. SKILL LEVEL: Moderate. 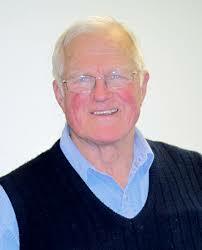 The following bird trips are run by Tom Sheppard, Chief Park Naturalist. Tom and his colleagues focus on helping all participants learn about the birds and teach them about interesting characteristics of each species. They will also point out other natural history information about the different areas the group is visiting. Please pack a lunch, as stops are not guaranteed. If you have your own binoculars or spotting scope, please feel free to bring them. Binoculars are available for loan. Trips are designed for adults, but mature youths under 18 can contact Tom for approval. Please dress appropriately for the weather. Transportation is by County Park vans. All trips meet at the County Arboretum. Trips are recommended for any interested birder at all levels of ability, unless otherwise stated. Join us on a run along the North Shore of New Jersey looking for winter ducks and other species in and around the lakes, waterways, beaches and ocean in Monmouth and Ocean Counties. We will start in Ocean at the Manasquan River Inlet and work our way north at least as far as Lake Takanassee. The trip will have multiple stops so dress in layers and be prepared for climbing in and out of the van. The conclusion of our March trip will be for this guy. March is a time when ducks migrate through Hunterdon and Warren Counties, stopping to rest at places like the Assiscong Marsh, Spruce Run, Round Valley, and Merrill Creek. We will look for ducks and other water birds, as well as check on the eagles at Merrill Creek. We will end the day looking for woodcocks with the hope of observing their interesting courtship display. Join us for a trek through the southwest corner of the state – Salem County. We will start our journey near Fort Mott and work east through Money Island to Stow Creek, the border with Cumberland, looking for shorebirds and other early migrants. Time permitting, we will then investigate the Johnson Sod Farm and/or Parvin State Park. 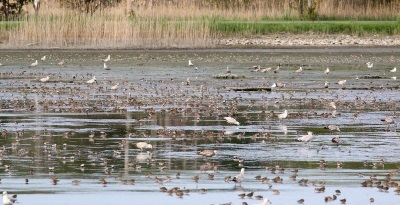 Heislerville will be one of our many stops for shorebirds. We will first head for Heislerville WMA and the border of Cape May County. We will then head into the county and focus on Belleplain State Park before heading to other locations. We will stay overnight at a hotel. Sunday, we will head down to Cape May Island and start our day at Higbee and other birding hotspots. Then up along the Atlantic coastline with stops at Nummy Island and Stone Harbor until time demands that we head for home. Cost covers transportation and housing; food will need to be provided by the participant. Note: This will be a fast-paced trip, and while participants do not have to be expert birders, they should understand basic birding skills. Therefore, participants need to have been on two previous birding excursions. 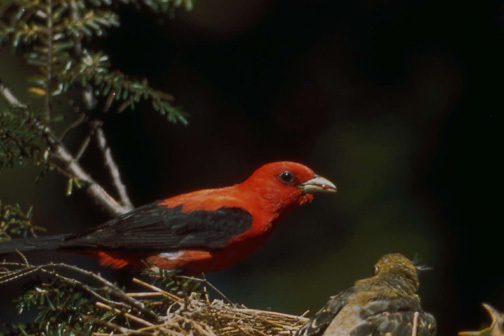 The Scarlet Tanager should be one of many colorful finds on the Sussex trip. Most participants on Sussex trips of years past consider this destination one of the best. With potential birds like Scarlet Tanager, Cerulean Warblers, Great Crested Flycatcher, and Northern Ravens, it is easy to see why. Sussex County is just great for northern nesting birds. We will be visiting portions of Stokes State Forest and High Point State Park. Moderate walking required. PLEASE NOTE THE EARLY START, which will put us in the field at prime time for birding. Hunterdon has a rich variety of nesting birds. Last year we went through the western edge of the county. Prior to this trip, we will scout some of the best spots in the County, such as Hoffman Park, Spruce Run Reservoir, and Voorhees State Park. However, the route of the trip may change up to the last moment depending on reports and findings. We will hope to see Bobolinks, a variety of warblers, and more. Two miles of hiking may be required. 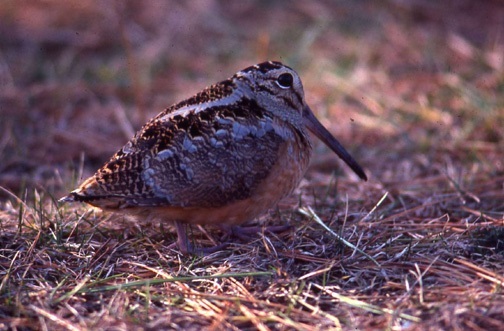 Take an early morning stroll or an afternoon walk with the interpretive staff of the County Parks Division as we look for the spring migrants and local breeding birds of the county. We will use both eyes and ears to determine which birds are in abundance, as well as to observe other signs of the spring season. This is a great chance to brush up on your song identification skills. Binoculars are available to borrow. Meet at the parks listed below. Cost: FREE, pre-registration is required. Do you dream of camping in the woods? Do you know what you would need and how to prepare for a campout? Would you like to cook on an open fire? Well, Let’s Go Camping! 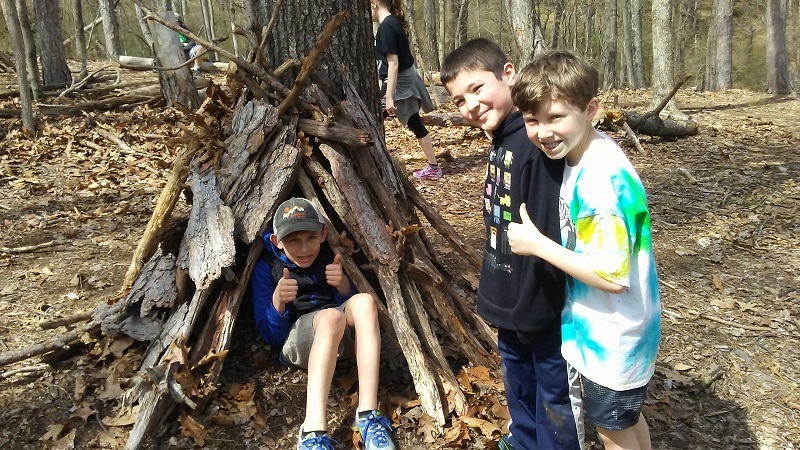 Join Recreation Leader Patrick Eckard for an overnight campout at Echo Hill. All participants are required to attend a planning meeting on Wednesday, June 27 at 7:00 at the Arboretum. At this meeting, we will plan a menu together, discuss equipment needed for different types of campouts, discuss strategies on packing, and learn how to prevent raids by animals. 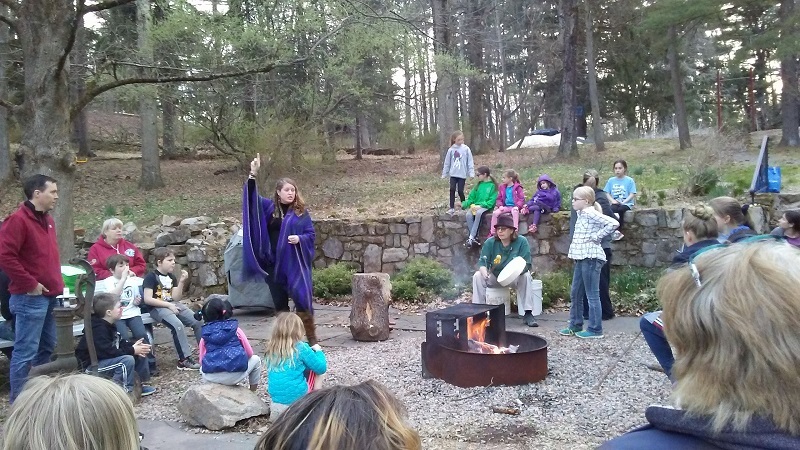 During the campout, we will demonstrate fire building (several techniques), pitching a tent correctly, knot tying, and using camp tools safely. All participants will get the chance to help cook a meal and be on kitchen patrol. During free time, enjoy Echo Hill pond and trails. When night falls, we will have an evening campfire and prepare traditional snacks. There are no more excuses… Let’s Go Camping! There is a flush toilet in the lodge, a short distance from the site. We have tents available to borrow, but feel free to bring your own. Boy Scouts may obtain their merit badge by setting up an additional meeting with Patrick. Join us for an exciting new camping trip to look for synchronous fireflies in Allegheny National Forest! The Synchronous Firefly (Photinus carolinus) is only found in a few places in the United States, most famously Smoky Mountain National Park. 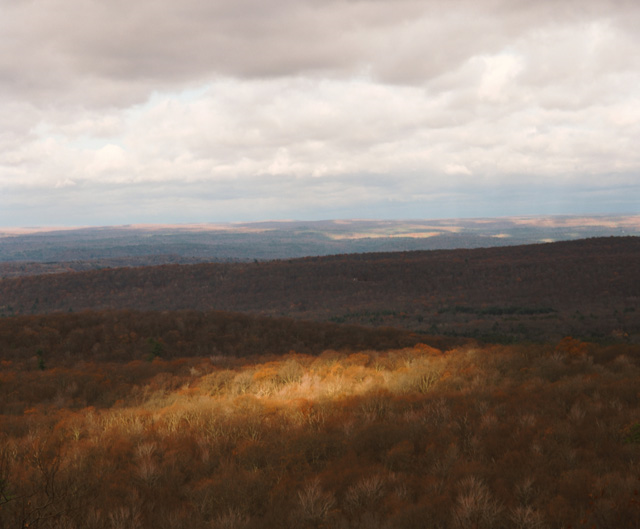 In 2012, it was also confirmed in Allegheny National Forest in Pennsylvania. As individual females synchronize with males nearby, waves of alternating bright light and darkness seem to travel across the landscape. These insects flash as a group about six times over two to four seconds, followed by a dark pattern of eight to 12 seconds. Another unusual species in the forest is the Chinese Lantern, of which the males are low and slow-flying, giving one-second, bluish-green glows repeated every 2 to 5 seconds. On this camping trip, we will hope to see both species of fireflies. We will meet at the Arboretum and drive about five hours to the Kellettville Campground, a rustic campground with a portajohn but no electricity or water. This campsite is on a stream so we will provide a water filter for fresh water. On Saturday, we will arrive in time to set up camp and cook dinner (please eat lunch before the trip or bring it to eat in the car). 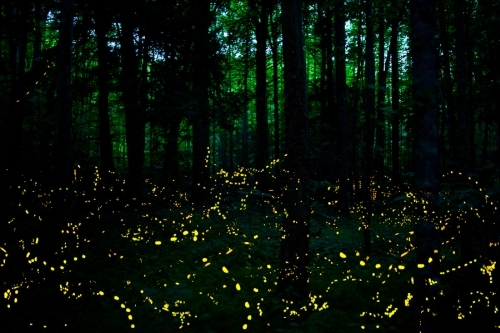 Saturday night we will go on a guided walk to see the Synchronous Fireflies at about 10:00 PM. Sunday we will have the option of a six-mile day hike (with leader Laura), a two-mile day hike, or enjoying the campsite. At night, we will have a second opportunity to see the 15 species of fireflies the Alleghenies offer from in and around our campsite. Monday we will drive back home, stopping at a casual restaurant on the way. Participants will need to provide dinner Saturday and Sunday, breakfast Sunday and Monday, lunch Sunday, and bring money for the restaurant Sunday lunch. We will bring one cooler and a stove for participants to share; please limit yourself to a few refrigerated items. Participants should also bring only one bag of belongings that includes a sleeping bag, tent, clothing, sturdy shoes, raingear, two liters of water, and eating/cooking dishes. Let us know if you need to borrow a tent. Enjoy the Delaware on a weekend canoe camping trip! This trip will leave the Arboretum at 8:00 AM on Saturday and head to the Delaware Water Gap to put in. We will paddle for a couple hours, stop to have a picnic lunch (please bring lunch for Saturday), paddle for a couple more hours, and then camp out at one of the wilderness sites on the river. 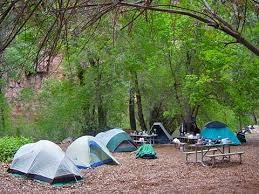 The group will cook dinner and enjoy the nature around us. The next day, we will cook breakfast and head downriver. We will stop and have a picnic lunch (provided). There will be time to swim both days as we travel. All participants must attend a pre-camp meeting on Wednesday, August 7 at 7:00 PM at the Arboretum. On your registration form, please indicate any dietary restrictions and if you will need to borrow a tent. Boy Scouts may obtain their Canoeing merit badge by setting up an additional meeting with Recreation Leader Patrick Eckard. Join the Parks on the river where we have been canoeing for 41 years. It is fun, educational, and great exercise! Spend a day with nature. Just bring water, lunch, and a smile—we will do the rest. 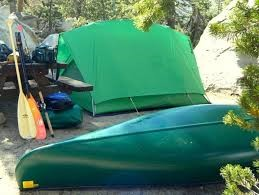 We supply the canoes, kayaks, gear, training, and transportation. Our experienced leaders teach the ways of currents and eddies and how to paddle mankind’s oldest craft, with a few new tricks. Tell us what you want to learn—we are eager to teach. 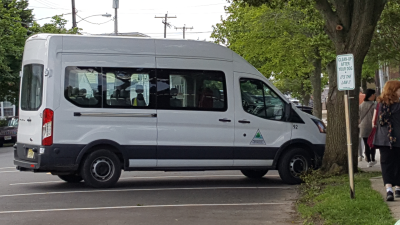 Unless stated otherwise, all trips are suitable for ages 8 through adults. POND PADDLES: A GOOD FIRST TRIP! Take a leisurely paddle, commune with nature, and practice the basics. Saturday paddles meet at the Clinton Town parking lot off Halstead Street & Water Street. Paddle around the scenic “Clinton Pond,” past lily pads, under bridges, past the historic Red Mill, up to the spillway of Spruce Run Reservoir, and back. Sunday paddles meet at the stone house at Teetertown Preserve, 30 Pleasant Grove Road, Port Murray (middle entrance). We’ll carpool to the big pond at Teetertown. Both sites are fun for children ages 8 and up (with an adult), senior citizens, beginners, folks with special needs (please inform us in advance), or anyone who just wants to get out on the water for a while. Round Valley at sunset is beautiful! 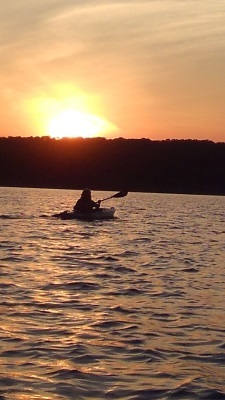 Treat yourself to a leisurely sunset paddle on Round Valley Reservoir. We'll meet at the Arboretum. Bring a flashlight and a jacket: it can get much cooler on the water when the sun goes down. 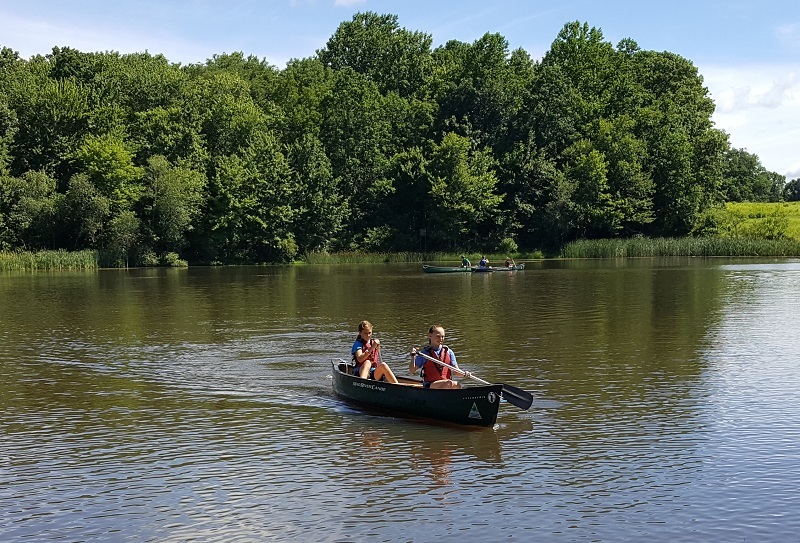 Canoe with Hunterdon County Parks & Recreation! *New for 2019! If you purchase 3 river trips at full price, you will get $5 off any other river trip for 2019. Must purchase all at the same time. If the trip is canceled, you must move to another trip. Your leaders will fit you with a lifejacket and paddle, drive to the river, discuss maneuvering techniques and canoe safety, and guide you down the river. We paddle for about two hours, stop for lunch, and paddle about two more hours. We are flexible with each trip’s time, which depends in part on natural forces, such as wind and water levels. Our aim is to return to the Arboretum by 3:30 PM, give or take an hour. Sunday, May 12​: Delaware, Kingwood to Bull’s Island—Let us take your Mother's Day photo with Mom! Sunday, June 16: ​Delaware, Kingwood to Bull’s Island—Let us take your Father’s Day photo with Dad! *PLEASE NOTE: Due to water levels or other circumstances, it may be necessary to pick an alternative river. Leaders may make this change at any time to provide a safe and fun experience. **PLEASE NOTE: Must register by Wednesday before the trip. If we do not have enough paddlers, a trip will be canceled Thursday morning. This three-trip program is for paddlers who want to learn or improve river skills and have fun along the way. Instead of paddling from Point A to B, we’ll stop along the way to learn about eddies, practice maneuvers, work on “reading” the water’s surface, etc. Each section of river will be slightly more complex than the last, working up to a day when we repeatedly run the legendary Class II+ rapid at Foul Rift. PRE-REGISTRATION: Required by the Wednesday before the trip for all canoeing programs. PLEASE NOTE: Due to water levels or other circumstances we may need to choose an alternative section of river. Leaders may make this change at any time in order to provide a safe and fun experience. CANCELLATIONS: If we cancel the trip, you will be notified by phone and given the option of joining an upcoming trip, holding a credit, or getting a full refund. Our trips run rain or shine with the exception of extreme cold or thunderstorms! Cancellations by participants are subject to a 30% service charge. Cancellations must be in writing, and those made less than one week prior to the program will NOT receive a refund. AGES: Most trips are appropriate for children ages 8 and older, accompanied by an adult. Please check with us about specific trips so we can verify age-appropriateness. WHAT TO WEAR: We suggest dressing in layers so you can adjust to changing temperatures. Durable old clothes are best; wool keeps you warm even if wet and polypropylene fleece dries quickly. Cotton is a bad material for cool, wet outdoor activities. Sneakers are recommended; please no sandals, boots, or heavy shoes. Wool socks are best for cold weather. A bathing suit may be worn in warm weather, often we stop for a swim. WHAT TO BRING: Lunch (in a waterproof container), lots of water to drink, rain jacket, hat, sunscreen, eyeglass strap, etc. In chilly weather, a complete change of clothing may be carried in your canoe (in a waterproof bag) or kept in the van for the trip’s end. NOTES: No alcoholic beverages are permitted on our trips. No pets are allowed, except guide animals. SCHEDULE YOUR OWN TRIP: We are happy to tailor a canoe trip to the needs of your group, school, club, charity, or service organization. What a great birthday party! If you have questions or would like to be added to our canoe trip announcement e-mail list, please call (908) 782-1158, or e-mail Recreation Leader Patrick Eckard at peckard@co.hunterdon.nj.us. Tickets will be available to purchase starting in December and will remain on sale throughout the winter. We also offer discount tickets to local amusement parks through the spring and summer months. Tickets can be purchased by check or cash. To confirm availability, call (908) 782-1158. Tickets are non-refundable. No need for last minute chocolates or a dozen boring roses. Join Senior Gardener Jason “Jaybird” Strauss for a fun evening with your son or daughter making a memorable valentine floral arrangement just for your special Valentine. We will provide everything you need to create a beautiful arrangement that will brighten your Valentine’s Day. New Jersey and railroads go way back, all the way to 1815 when the state granted John Stevens of Hoboken the first railroad charter in the U.S. Although Stevens’s New Jersey Railroad was never constructed, the Camden & Amboy Railroad, under the direction of Stevens’s sons, began service between South Amboy and Bordentown in 1833, the first of many railroads to lay track across the Garden State. This program provides a glimpse of a New Jersey long gone—one in which you could get practically anywhere by rail. Presenter Mike McCann, during his 21 years with the New Jersey Department of Environmental Protection, examined the histories of properties. He reviewed aerial photographs from 1930 to the present under a stereo microscope while in the process of determining whether land qualified for New Jersey’s Green Acres Program. Since his retirement, he has created presentations of scanned aerial images highlighting the changes that have occurred in the landscape of the region. Mike enthusiastically shares his wide-ranging knowledge, fun quirky facts, and riveting stories in his magnificent shows! Dramatic aerial images of New Jersey “then and now” contrasting historic photographs of NJ scenes from the 1920s-1940s with recent views of the same sites. Covers everything from inventions and innovations to lost industries and amusement parks (including “Atlantic Beach”), modes of travel, and more, with many “hidden history” tidbits about the Bayshore and Monmouth County. 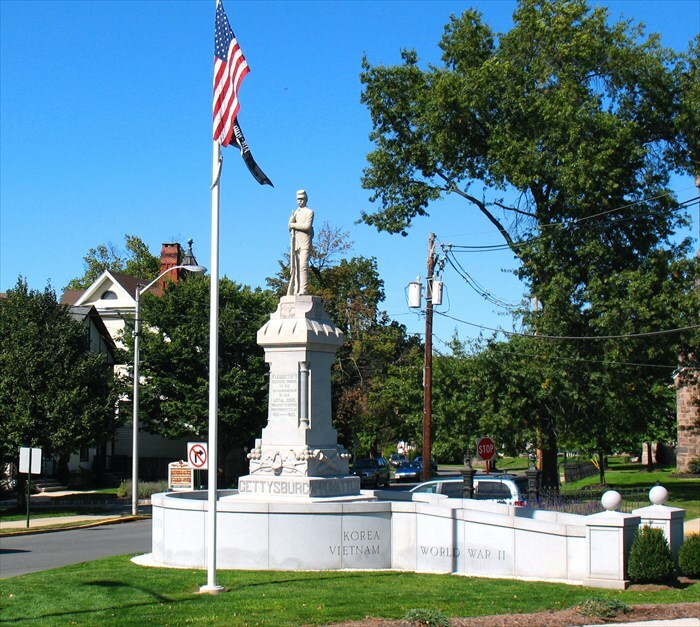 Learn about some of Hunterdon’s forgotten veterans, and meet John Kuhl, author of Hunterdon County in the Civil War. It goes without saying that the period before and during the Civil War was one of the defining eras of this country. One wonders what it might have been like to live through this period. Join Chief Park Naturalist, Tom Sheppard, as he presents some of Hunterdon’s Connections with the Civil War. We will discuss some of the events leading up to the war and Hunterdon’s take on these events as well as look at some of the lives of local residents that fought in the war. Much of the source material for this program is pulled from the book Hunterdon County in the Civil War by John Kuhl. Books will be on hand for purchase and Mr. Kuhl will be present to sign copies. This series provides a terrific opportunity to meet with other local homeschooling families, while your child learns about the natural world. Participants will explore a new topic each month and enjoy hands-on activities that foster science, math, language arts and social skills. Program includes “homework” projects to complete after each session. Class size will be limited to 15 participants. This is a four-part recreation series designed for homeschooled children. On February 14, we will make Valentine’s Day cards and other crafts. On March 14, we will learn how we make sap into maple syrup. On April 11, the group will focus on Native Americans and do some related crafts. We will close with making food over a campfire on May 8. Breathe, relax, smell, and listen to the forest’s beautiful water attributes and peaceful surroundings on a new trail in our parks. Come join us for an afternoon of relaxation. Join Park Naturalist Debra Reed on a tranquil, relaxing, guided walk through varied foliage and let go of any stress. We will meet at the Arboretum and travel 5 minutes by van to the Furnas Section. Part of the program will involve sitting and experiencing nature; feel free to bring a camping chair if you are uncomfortable sitting on the ground (or indicate on your registration form that you would like to borrow one). Look for amphibians in vernal pools at Jugtown Mountain! Interact with live reptiles here at the parks to earn your Reptile and Amphibian Merit Badge with Counselor Debra Reed! 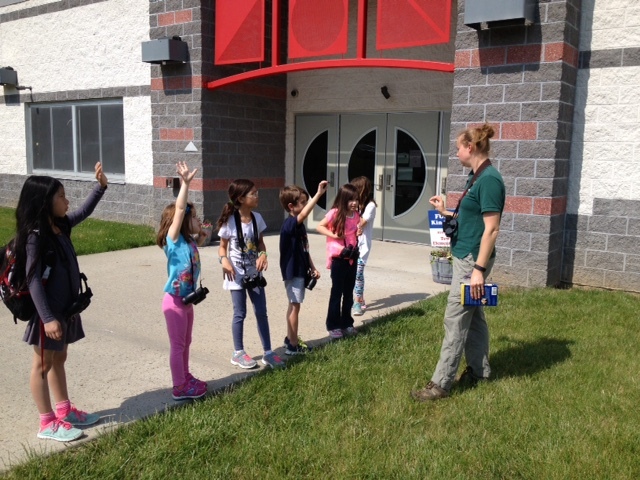 We will get together to look for amphibians in the wild and learn about identifying characteristics, geographic distribution, their role in the environment, and how to care for a reptile or amphibian. Please bring a camera and a notebook and pencil for sketching. Scouts will need to schedule an additional meeting time with Debra after they have completed the additional requirements for the badge on their own. Cost is per scout; adults may accompany their scout for free or drop them off. Take in the forest atmosphere during Shinrin-Yoku! Stressed? Need to take time for yourself? Come experience what the Japanese have been doing for years; breathe, relax, smell, and listen to the forest around you. “Shinrin-Yoku” means “taking in the forest atmosphere” or “forest bathing,” and is a cornerstone of preventative healthcare and healing in Japanese medicine. Join Park Naturalist Debra Reed on a tranquil, relaxing, guided walk through the forest and let go of the stress created by our urban lifestyles. Part of the program will involve sitting and experiencing nature; feel free to bring a camping chair if you are uncomfortable sitting on the ground (or indicate on your registration form that you would like to borrow one). Learn to bird with Senior Park Naturalist Laura Bush! Spring is a great time to get into birding! In spring, many species of birds return to New Jersey for their summer nesting grounds, or migrate through the area on their way to colder sites. Birds are colorful and fun to watch, and have beautiful songs. They are the easiest form of wildlife to view year-round, and their numbers can indicate the health of the environment. Join Senior Park Naturalist Laura Bush to participate in a short PowerPoint presentation on how to identify birds, and then take a walk outside to try to find some of our own. Bring binoculars if you have them (also available to borrow). For kids ages 8 and up or adults. Are you interested in hiking but not sure how to get started? Do you want to teach your family how to hike safely? Do you want to spend a fun afternoon in the company of others? Then join us for a guided hike at Uplands Reserve! Kristen Falzon, an avid hiker, trail maintainer, and former seasonal ranger for Monmouth County Parks, has volunteered to teach us skills such as what to bring on a hike, what to do if you encounter an animal, how to use a hiking map, and how to interpret trail blazes. Senior Park Naturalist Laura Bush will assist with interpretive information about plants and animals. 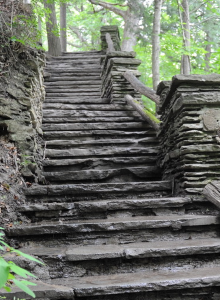 The group will hike about 3 miles along a stream and through the ruins of the Judge Large estate, one of the prosecutors during the Charles Lindbergh trial. This trail is moderately hilly. Meet at the parking lot of Bernadette Morales Nature Preserve, 103 Capner Street, Flemington. 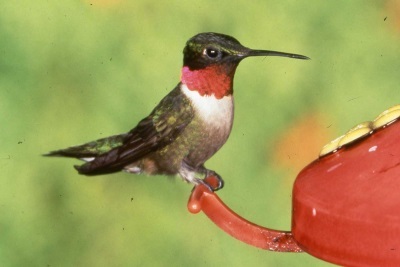 Attract these little gems to your yard with a handmade hummingbird feeder! Hummingbirds are one of the most unique birds we have. Did you know that they are the only birds that can fly backwards? Or that they use spider webs and lichen to build their tiny nests? Or that they weigh less than a nickel but fly 20 hours without stopping over the Gulf of Mexico in migration? Ruby-throated Hummingbirds are more common than you may realize, however, and most people who put up a nectar feeder will attract them. Join Senior Park Naturalist Laura Bush for a short lecture on hummingbirds, then a chance to watch them on our feeder at Echo Hill, and finally, to make your own hummingbird feeder from recycled materials. Cost is per feeder; families or individuals should sign up for one or more feeders. 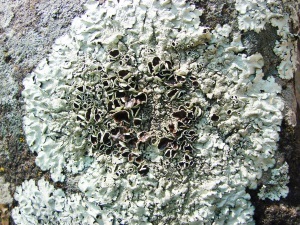 Meet Dennis Waters at the Arboretum for a walk to identify local lichens! Lichens are all around us, on trees, on rocks, and on the ground. These organisms have a split personality, half plant and half fungus. Some are among the most robust and resilient organisms on the planet, while others are so sensitive that they can be wiped out by a whiff of air pollution. Come for a short walk to learn what they are, how they work, and how to identify the common species of Hunterdon County. 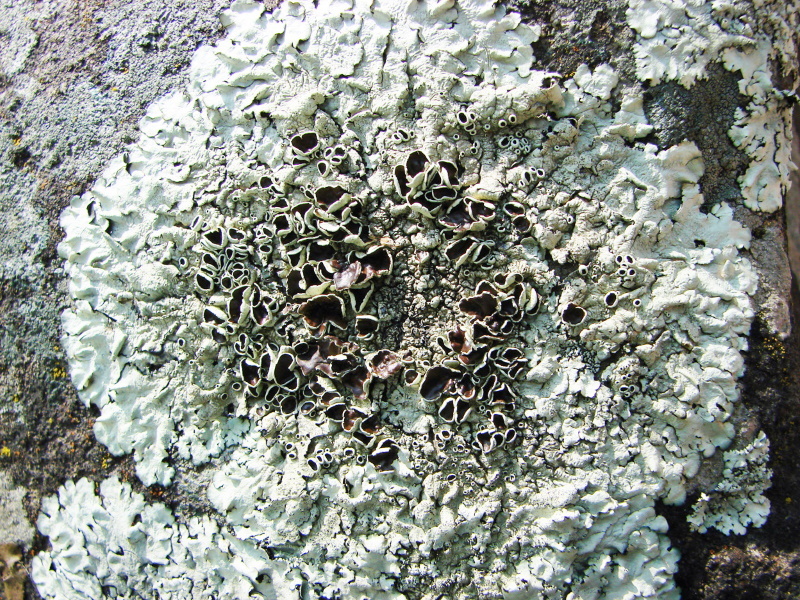 Bring lichens you have found to be identified. Meet Lichenologist Dennis Waters in front of the garden gate at the Arboretum. POISON IVY, SNAKES, & Ticks, oh my! Copperheads are the only venomous snake in Hunterdon County. 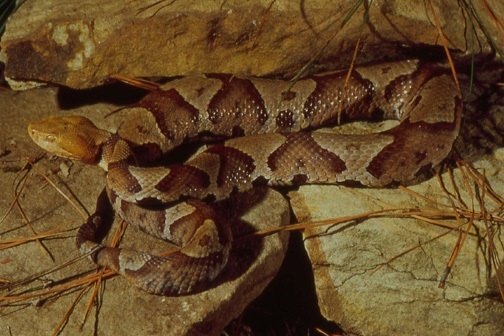 Learn how to identify copperheads and other dangerous critters with Thomas Lurz. There’s no need to let poisonous plants, venomous animals, or toxic fungi keep you out of the woods! Learn how to recognize and avoid various hazards in the natural world. We will discuss signs and symptoms, shock, and what to do if you are affected. This program will be a PowerPoint lecture, accompanied by specimens. Thomas Lurz recently retired from the Pennsylvania Department of Agriculture where he worked on deadly and invasive insects. He is also an EMT instructor and has a vast knowledge of dangerous plants and animals, paleontology, minerals, and herptiles. Come explore the park during the night and see the moonlight reflecting off our pond! 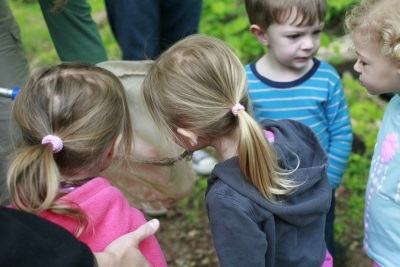 Under the light of a full moon, we will listen to summer insects and learn about the adaptations of nocturnal animals. We will also learn about the phases of the moon. Meet Senior Park Naturalist Laura Bush at the main parking area, 26 Baptist Church Road, Hampton 08827. Japanese Wineberry is an invasive plant in the raspberry family. Its berries are smaller and less sweet than raspberries (but still delicious) and they peak during the third week of July. We should eat as many berries as possible from this ubiquitous invasive—so why not make some jam? Each participant will go home with a small jar. We will spend the time picking berries, learning about edible wild plants, and processing the jam. 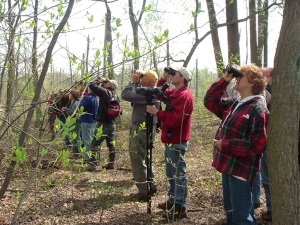 Participants on a past tot walk look for frogs. Join Park Naturalist Laura Kroon Bush on these early adventures to discover nature at your local park! Leave the strollers behind as we take a walk outside to see plants and animals around us. We will use our senses to focus on each theme. Each one-hour program will include a walk and an indoor time of a story and craft. We offer three sessions of each theme in a row; please select either Session A, B, or C. Sign up for one, two, or all three themes! Children are exploring and learning about the outdoors in nature club! Learn, create, play games, and explore! 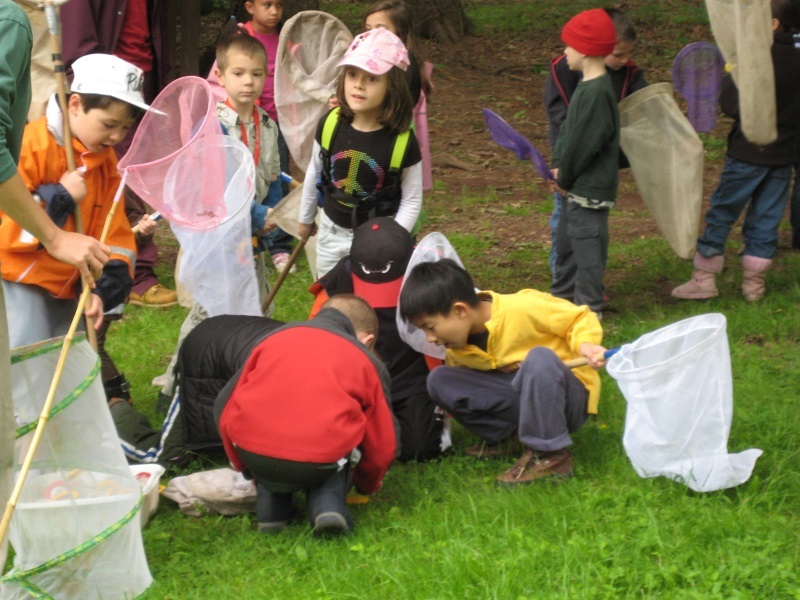 Our popular nature clubs will introduce your child to many exciting nature topics. 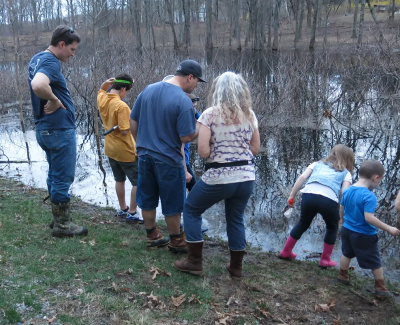 Naturalist Debra Reed will guide the children during hikes as they discover the beautiful field, forest, and pond habitats at Echo Hill. Other fun hands-on activities include science experiments, games, and craft projects. The children will be able to observe the surprising changes in nature from week to week as we progress through the season. Through our explorations, children will also improve their attention to detail as we observe the colors, shapes, textures, and sounds of the natural world. Sessions A and B are for ages 3 to 5 and Session C is for kindergarten through third grade. This is a drop-off program and children must be self-sufficient in the bathroom. Please be sure to dress your child for the outdoors so they will be able to enjoy our time. We strongly recommend old clothes and sneakers/boots that can get dirty. Nature Clubs meet rain or shine. In inclement weather, we shorten our outdoor adventures to spend more time inside. Do you miss camp? Never been but want to try it out for a day? Join the naturalist staff for a day of summer nature camp fun over spring break! 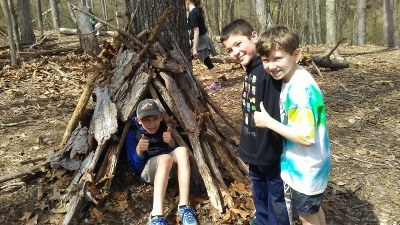 We will revisit traditional camp favorites such as a stream study, shelter building, and s’mores. Please bring a lunch and a refillable water bottle. Please wear sturdy close-toed shoes and dress for the weather, as we will have camp rain or shine. Bring closed-toed water shoes for the stream and other shoes/pants to change into afterward. Please note: this year, we are offering two days during the same week. Curriculum will be the same both days, so we ask that campers sign up for one day only. There are two groups for grades K-2 on April 25, and we will split up campers by the order in which they sign up. A day full of Martin Guitars and Mack Trucks! Let’s go check out the Martin Guitar Museum in Nazareth Pa. and tour the factory. More than 200 rare, vintage instruments are on display, from the Stauffer and Ditson models to the D-45 Pre-War and sustainable wood models. The Museum honors the artists who created music history, from Gene Autry and Johnny Cash to Elvis and John Mayer. During the guided tour of the factory you will see just how committed to building the finest steel-string acoustic guitars in the world they are. 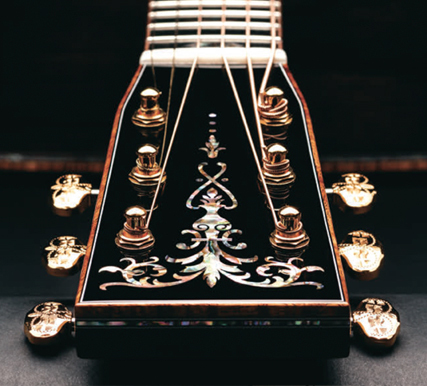 Witness firsthand the detail of exquisite craftsmanship that goes into each and every guitar. A fascinating blend of old world craftsmanship and modern technology. Mack Trucks Historical Museum in Allentown Pa.… What year did the Mack Senior model debut? When was the first Mack diesel engine produced? When did Mack adopt the bulldog as its mascot? Or a little closer to home: What transmission was outfitted on your grandfather’s 1940 Mack? 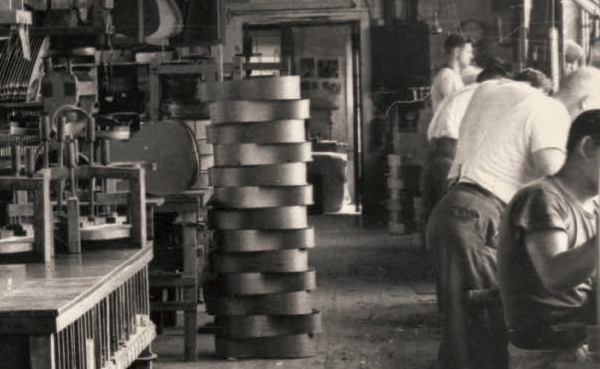 If you’ve got questions – and perhaps a vehicle identification number – there’s a pretty good chance the Mack Trucks Historical Museum has the answers within their archives. We will stop for lunch at a local eatery; lunch is not included in the price. The Great American Outdoor Show in Harrisburg Pennsylvania is the largest consumer event of its kind attracting outdoor enthusiasts from over 35 states to view and purchase hunting and fishing products, plan outdoor sport and camping vacations, shop for fishing boats, RVs, SUVs, motorcycles and ATVs, and participate in a wide range of outdoor seminars. The Great American Outdoor Show featured more than 200 seminars from leading outdoors experts, covering hunting, birds of prey, self-defense tactics and strategies, cooking with wild game demonstrations, fishing tips from angling experts, and much more! Where are the parklands of Hunterdon County? Did you know that there are over 28 beautiful pieces of preserved county parklands? In addition, there are many state, town, and township parks that we will mention. Let’s take a Sunday afternoon drive to see how many parks we can visit. Fascinating history, cool facts and stories, and a plethora of other information will be shared by our guest leader, Chip Colombo. Please wear sturdy footwear and weather-appropriate clothing for taking a few short hikes. Feel free to bring a snack and drink as no food stops are planned, other than perhaps a visit to a local general store. Sit back & relax as we take you by coach bus to the world’s oldest and largest indoor flower show! The show features large-scale gardens, elaborate landscapes, and over-the-top floral creations. Visitors are treated to fabulous design, live entertainment, gardening how-to workshops, and lectures by experts. Designers spend more than a year planning, primping, pruning and growing the exhibits that will transform an empty space into a beautiful oasis of color and life in the waning days of winter. Their commitment to excellence is evident in creative, inspiring presentations and in the diversity of beautiful plants that are lovingly coaxed into bloom in March. You can shop for plants and gifts, sample wines, and attend different seminars. For lunch, consider visiting the Reading Terminal Market across the street (on your own). For more information on this year’s theme, Flower Power, visit www.theflowershow.com. A day full of covered bridges and history! 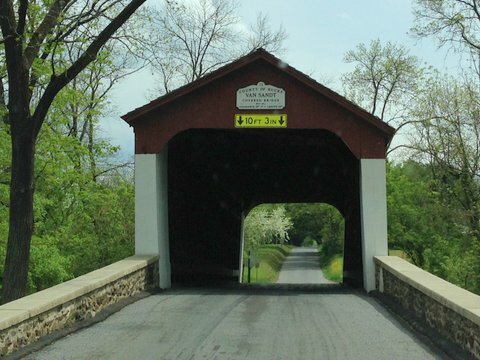 Circling through beautiful western Bucks County, Pennsylvania, step back in time on this scenic tour exploring six 19th century covered bridges. Twelve covered bridges are all that remain of the fifty built in historic Bucks County. Some say that they provided shelter for the traveler. Others say that they protected animals from their natural fear of crossing water, while still others say that the roof kept winter snows off the flooring. The more romantically inclined called them “kissing bridges” or even “wishing bridges.” Actually…the roof was designed to protect the supporting beams on either side from being ravaged by the weather. When thus covered, the bridge had a much longer life expectancy. Grab a seat in the Hunterdon Parks’ 15-passenger van and we will visit six covered bridges located in western Bucks County. We will stop for lunch in Perkasie, at The Perk, a local eatery that offers a superb menu at reasonable prices (lunch is not included in the price of this trip). Please dress appropriately for the weather, and wear proper footwear for taking short walks. A day full of mosaic art. 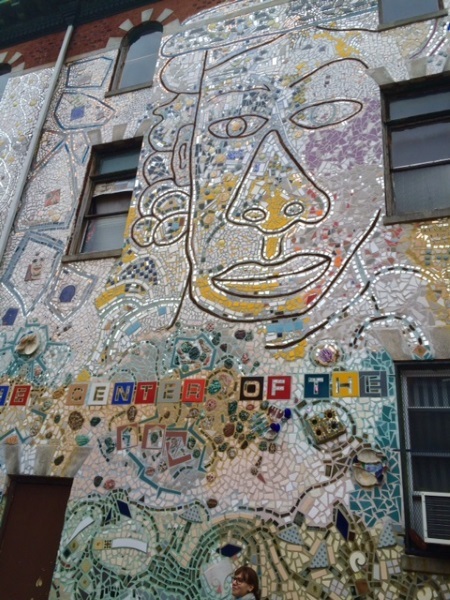 Explore a mosaicked visionary art environment, gallery, and community arts center that preserves, interprets, and provides access to Isaiah Zagar’s unique mosaic art environment. Isaiah Zagar is an award-winning mosaic mural artist whose work can be found on more than 200 public walls throughout the city of Philadelphia and around the world. We will go on a guided tour through the Magic Gardens main site, including a fully tiled indoor space, the outdoor mosaic sculpture garden, and some public murals. For more information visit www.phillymagicgardens.org. Participants will have free time to get a bite to eat at one of the many dining options; within two blocks are Morning Glory Diner and Hawthornes (lunch is not included in the price). There will also likely be time to shop the 9th Street Italian Market, enjoy a self-guided walk into the alleyways along South Street to view Isaiah Zagar’s glittering creations, or maybe visit the Eyes Gallery. Wear good walking shoes and layered clothing, and you can bring a snack for the van ride. One of the stops on this van tour, Paulinskill Viaduct. All aboard! This Parks van tour will chug through history. Explore the remains and imagine the past as we follow of the path of the Warren railroad. Highlights include a tour of the Shippen Manor, a visit to the oxford furnace, two half-mile stroll-hikes down the old railroad bed, and a drive along the Pequest River to Johnny’s Hot Dog Stand for lunch. Lunch is not included in the price and you are welcome to bring a bag lunch. 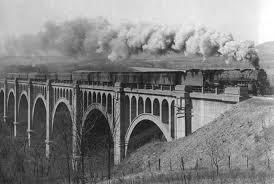 We will also visit the Paulinskill viaduct… a fun-filled day of exploring! Our guest guide Chip will share his plethora of knowledge. Bring a snack and drink. Please dress in layers, be prepared to be outdoors, and wear appropriate footwear. On this new trip, we will tour the Ringwood Manor, located in Passaic County, a National Historic Landmark District. It was the site of an ironworks and home to a number of well-known ironmasters from the 1740s to the late 19th century. The current manor house was built in 1807. 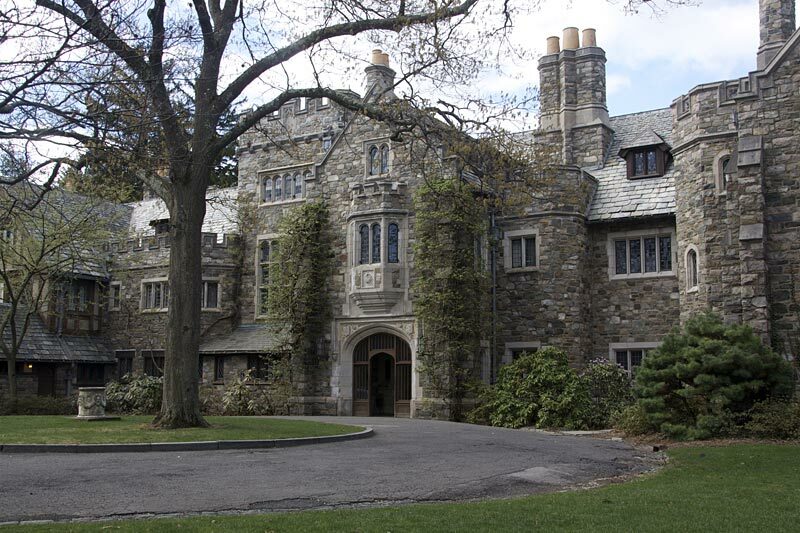 Then we will tour Skylands Manor, designed in the mid-1920s by the distinguished American architect John Russell Pope. Pope’s works include the National Archives and the National Gallery of Art. The Tudor Revival Skylands Manor was intentionally made to appear centuries old. Note the building’s weathered stone facade, and the sags and ripples in the slate roof. All stone was quarried on the estate. Our third stop will be the New Jersey State Botanical Garden at Skylands where you can wander amid the elegance of formal gardens, or along gentle paths winding through the woods. The NJBG includes 96 acres of specialty gardens surrounded by 1000 acres of woodlands. Skylands is also a safe haven for unusual plant species from around the world. The garden protects and preserves these plants as their natural habitats are changed forever by progress. Please dress appropriately for the weather, and wear proper footwear for taking short walks. Bring a bagged lunch. Learn the details of Washington’s Greatest battle. 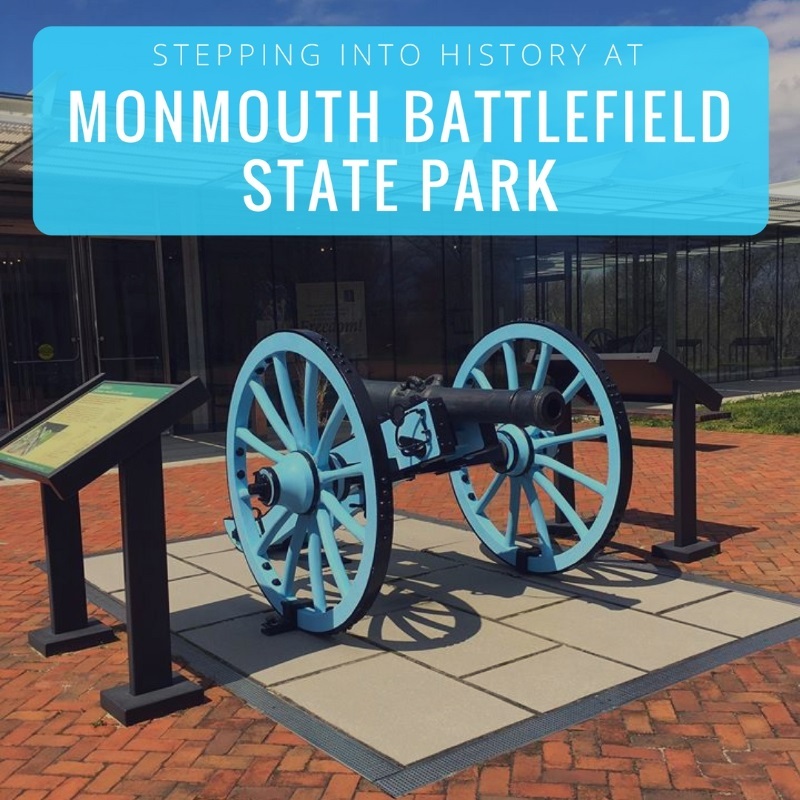 Join Chief Park Naturalist Tom Sheppard for a van trip to New Jersey’s major battlefield site – the Monmouth Battlefield. We will be joined by a state park guide who will take us on an approximately 1.5 mile hike and lead us through the events of the battle, one of the major conflicts of the American Revolution. Topics of discussion will also include the history of Molly Pitcher and the clash between General Washington and General Lee during the battle. Please pack a lunch that we will enjoy in the park after the tour and before our return to the Arboretum. Leave the driving and parking to us and spend a day at the Bronx Zoo! Join the Parks Division as we journey to the Bronx Zoo. This is the world’s largest urban zoo with more than 600 species from around the globe! Get up close with mammals, birds, reptiles, fish, and insects. 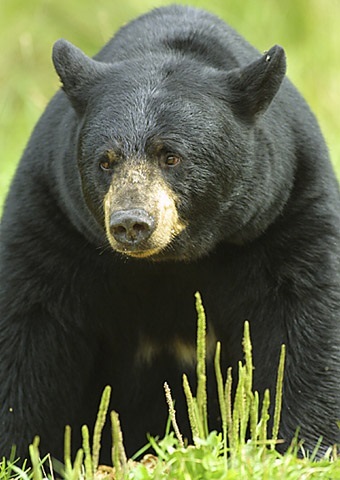 Learn about their natural history, biology, cultural roles, and conservation status. Enjoy the total experience at the zoo, which includes special attractions like the Butterfly Garden, the Children’s Zoo, the Congo Gorilla Forest, the Zoo Shuttle, the 4-D Theatre, and Jungle World. You will have about five hours to enjoy yourself. You can eat lunch in the main restaurant the Dancing Crane Café, or at the Terrace Café located by the Children’s Zoo (lunch not included). There are many stands throughout the zoo offering snacks and also many tables available for you to eat your own boxed lunch. So why not leave the driving and parking to us and spend a day at the Bronx Zoo? Learn all about Grey Towers! Grey Towers, located in Milford, Pennsylvania, was originally the summer estate of the James Pinchot family and later the primary home of Gifford Pinchot, America’s first Forester and founder of the United States Department of Agriculture (USDA) Forest Service. Gifford’s father, a wealthy wallpaper merchant, completed Grey Towers in 1886. 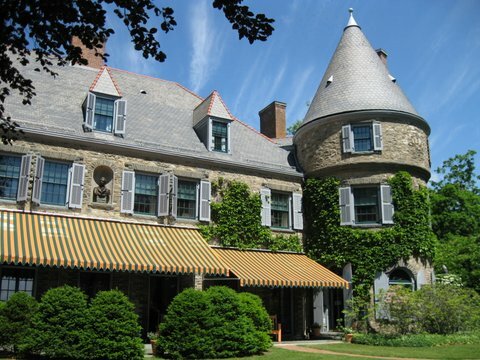 Richard Morris Hunt, a leading architect of the era, designed the summer home to utilize both local materials and reflect the French heritage of the Pinchot family. For two decades, the Pinchots and their children enjoyed numerous summers at Grey Towers entertaining guests for afternoon teas and dinner parties. Please dress in layers; be prepared to be outdoors and indoors and wear sturdy footwear. After the guided tour you will have some free time to check out the gardens before we go for lunch at the Waterwheel Café in Milford, PA (lunch is not included in the price of the trip; visit www.waterwheelcafe.com to view the menu). After lunch, we will do some sightseeing in the Milford area. You are welcome to bring snacks and drinks for the van ride. 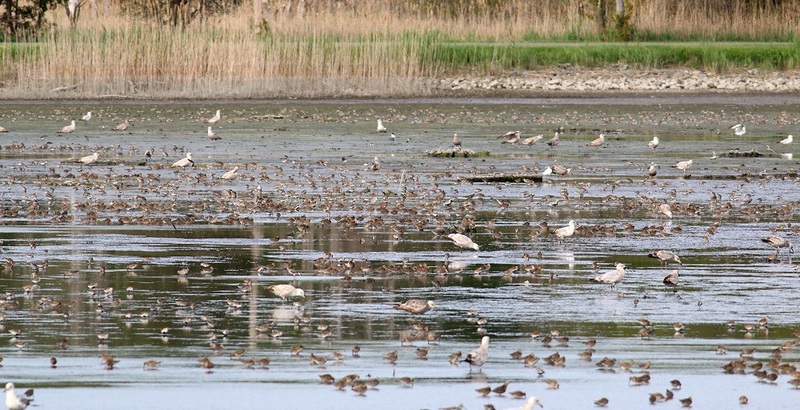 Learn the secrets of the salt marsh on our van trip to Sandy Hook! Meet Senior Park Naturalist Laura Bush at the Arboretum where she will drive you to Sandy Hook in a County van. As a group, we will meet an instructor from NJ Sea Grant Consortium to spend two hours exploring the most productive ecosystem on earth—the salt marsh. 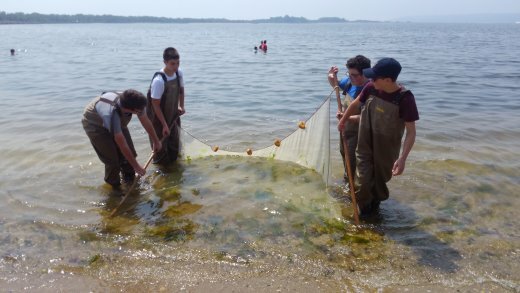 We will don waders and use nets to seine for fish, shrimp, and crabs. We will also collect shells and go on a hike in this special environment. After the program, we will have about three hours for lunch and swimming at a guarded beach. Please bring water and wear closed-toed shoes for the salt marsh portion of the program. A changing area and snack stand are available at the beach, but participants can also bring their own food. These classes are taught by instructor Jim Rimi, who resides in Warren County, NJ. He has been working in photography for most of his life. He holds a BFA in photography and is an NJ-certified teacher of Art. His work has been published and shown throughout the U.S., including a documentation in the early 1980s of The Fulton Street Fish Market in Manhattan. Eleven prints from this project are in the permanent collection of The South Street Seaport Museum. Another project specifically life giving to his career and role as an artist was his photo documentary entitled New York Underground. This was a 10-year journey into the lives of the homeless, shelters, street people, and street musicians of New York City. Jim works in both film and digital photography. Although he has been predominately shooting in black and white and has a love for the traditional techniques and nostalgia that comes from the darkroom, he has also found an interest in the beauty of landscape. Jim has a purest perspective with his work; he does not digitally enhance, change, or manipulate his images. His goal as an artist is to bring forth unexpected or perhaps overlooked beauty directly into the viewers’ gaze. Note: Maximum of 8 participants in each class. In this workshop students will learn how to use their cameras on their manual settings. Shutter speed, aperture, depth of field, lighting, use of lenses, and composition will be discussed. Students will be taught with a hands-on approach in a laidback, no-pressure atmosphere, so learning is fun and enjoyable! Students will start their journey in the classroom, then move out onto the beautiful grounds of The Arboretum, putting into practice the information just learned. Instructor Jim Rimi will be with the students in the field to assist and answer any questions. Students will then come back to the classroom for a group critique of their photos by Jim. Please note, there is walking involved and a portion of this class is outdoors. Please dress accordingly. A blank memory card dedicated for the class is recommended. Curriculum is the same for each session; please select A, B, C, or D.
Note: Maximum of 7 participants for this series. This four-week class is geared for teens who have a passion for photography. Students will learn how to use their cameras on the manual setting. Students will be taught the use and meaning of aperture, depth of field, shutter speed, lenses, lighting, and composition. This class is taught in both a classroom setting and on the grounds of The Arboretum. Students will also be given after class photographic assignments that correlate to what was taught in the classroom. Group critiques will be conducted to continually improve student’s photographic skills. This is a fun, small hands-on class which will evoke in the student a new understanding and fervor for photography. Please dress for the weather and walking in the park. A blank memory card dedicated for the class is recommended. Note: Maximum of 10 participants in each class. This is a 3-hour workshop that is designed for the photographer that has a grasp of their camera. It is a perfect complement to the beginning photography workshop. You will concentrate on how to see like a photographer. Lighting, camera position, and angle will be discussed. You will also go over the proper use of lenses, focal length, depth of field, and shutter speed. In this class, students are encouraged to be sensitive and aware of light and their surroundings. You will discuss the makings of a great photograph and how to achieve it. This workshop starts in a classroom environment and goes out into the field. Students will venture out in the park with the new knowledge they have just been given. Jim will be in the field with students to assist and answer any questions that they have. Students will then meet back after the shoot for a group critique by Jim of the photos they have just taken. This is a fun and relaxed workshop combining nature and the art of photography. Please dress for the weather and walking in the park. A blank memory card dedicated for the class is recommended and a tripod if you have one. Curriculum is the same for each session; please select A, B, C, or D.
Note: Maximum of 13 participants. Participants will meet at the main parking lot at Deer Path Park. This will give students the best vantage point to photograph the sunset. Instruction will be given by Jim at the site to achieve a pleasing sunset photo. Students must be able to walk to the photo site, and be willing and patient to wait for the right moment to take the perfect sunset photo. Please dress for the weather and walking in the park. A tripod if you have one and flashlight may be helpful. The instructor Emma Rimi, will supply objects and materials, some found in nature, but feel free to bring your own treasures to press into clay! Finished projects can be functional or decorative and are microwave, dishwater, and food safe. Students pick glaze colors for their projects, the instructor will fire the projects, and you will receive a phone call when they’re ready for pick-up at the Arboretum. Office hours are Monday through Friday 8:00 AM to 4:30 PM. No experience necessary. 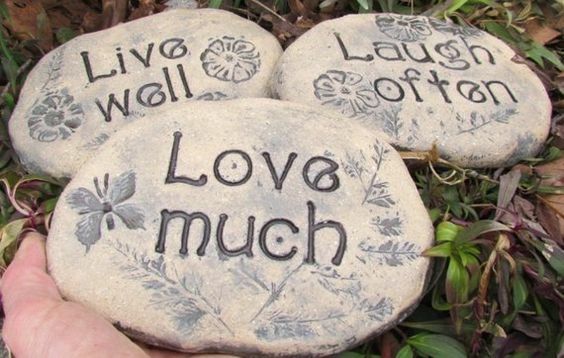 Learn how to carve, etch, and sgraffito as we utilize all elements of clay to create a beautiful stepping stone fit for any garden! Participants will focus on various decorative techniques to form one-of-a-kind impressions on their pieces. 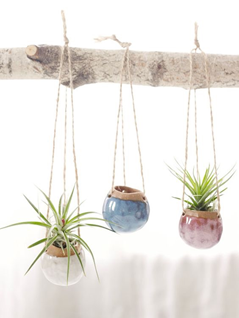 Design and create three hanging planters for succulents, using pinch and coil techniques. 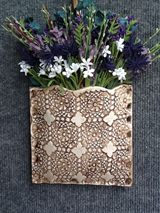 Workshop covers how to add found texture and pattern to your project adding visual interest as well as various decorating techniques including carving and etching. Plant hangers are designed to hang in or outside your home. 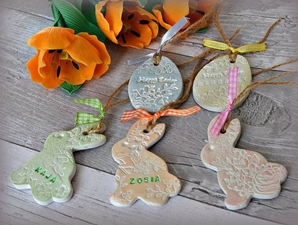 Make your own happy Easter ornament garland or make a handful of Easter themed creations/ornaments adding holiday cheer to any space. The instructor will teach beginner hand building techniques to help bring your creations to life. Participants will create and decorate hand-built pockets that hang on the wall. The pockets can be designed to hold plants and flowers or whatever you please. The instructor will specifically review slab making and coil technique. Each student will make two pockets approximately 5” x 6” in size. 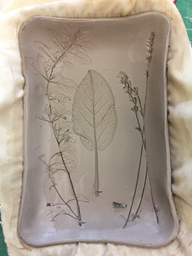 Students will create and decorate hand-built ceramic trays focusing on textures found in nature. We will learn slab and coil techniques as well as various decorating techniques including carving and etching. Participants will learn the properties of clay and focus on making different impressions and patterns in their pieces. Each person will make two trays approximately 6” x 4” in size. Collecting the sap is a crucial step of the maple sugaring process! Many methods are used on commercial farms, but the basic idea is the same—moving the sap from the maple trees to the stove. Come participate in the process at Echo Hill! We will meet at the playground and then walk to the sugar bush (five to ten minutes). This program will also be available to groups during weekdays in February—please call us to schedule a group. This is a four-part recreation series designed for homeschooled children. On February 14, we will make Valentine’s Day cards and other crafts. 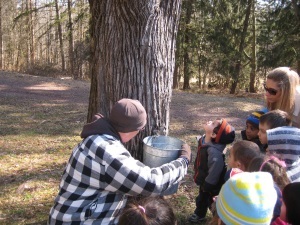 On March 14, we will learn how we make sap into maple syrup. On April 11, the group will focus on Native Americans and do some related crafts. We will close with making food over a campfire on May 9. Obtain your N.J. Boating Safety Certificate in a new class at the Parks! This 8-hour boating course is designed to educate boaters to the minimum skills needed to safely handle and operate a boat or personal watercraft. 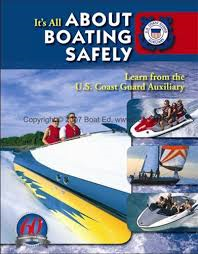 This course is taught by highly qualified U.S. Coast Guard Auxiliary Instructors who are certified not only by the U.S Coast Guard, but also by the N.J. State Police Marine Bureau. Topics covered include: Know Your Boat, Before You Get Underway, Navigating the Waterways, operating your Boat/PWC, Legal Requirements of Boating, Boating Emergencies...What to Do, Enjoying Water Sports with Your Boat, and also a review New Jersey specific laws and regulations. Whether you are a new boater or have been boating for many years you may discover that you can still learn something new about boating safely. Successful completion of this course meets the New Jersey requirement to receive an N.J. Boating Safety Certificate, which is required to operate a vessel in the State of New Jersey. Pre-registration is required. Let us show you the basics of fishing, including safety, etiquette, equipment, and casting. Meet Recreation Leader Patrick Eckard at Echo Hill pond. 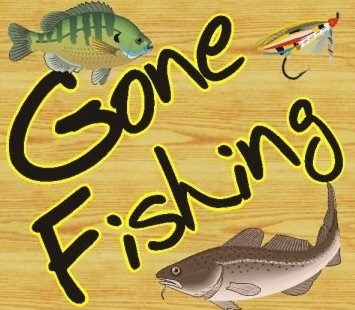 Fishing rods are available to borrow. Bait, hooks, bobbers, and weights are provided. If you have your own fishing equipment, you may bring it with you. Organized groups can also request this program on another date. Call us to set up this program for a group. Boy Scouts may obtain their Fishing Merit Badge by setting up an additional meeting with Patrick. Earn a babysitting safety certificate! 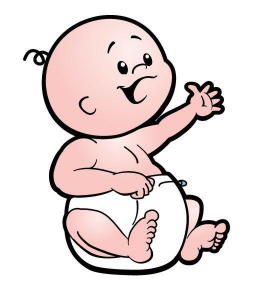 This class is for any young person who wants to learn how to take care of a child or baby. We will go over all the things you need to know to handle all problems that may come up, including: behavior management, fire, water, falls, poison, sudden illnesses, and assessing for illness and injury. We will do First Aid and CPR. Then we will go over safe sleep practices, feeding, and play time. Be prepared to help people in need of first aid or CPR! If you have ever wanted to learn CPR and First Aid, this is the time. These courses are taught by an American Heart Association (AHA) instructor. You will learn Adult, Child, and Infant CPR, Choking, and First Aid, allowing you to help anyone of any age. This is not a course for health care personnel. Sign up for CPR and/or First Aid, and bring a lunch if you are doing both classes. Boy Scouts may obtain their merit badge by setting up an additional meeting with Patrick. *The American Heart Association strongly promotes knowledge and proficiency in CPR and instructional material for this purpose. Use of these materials in an education course does not represent course sponsorship by the American Heart Association. Any fees charged for such a course, except for a portion of fees needed for AHA course material, do not represent income to the Association. 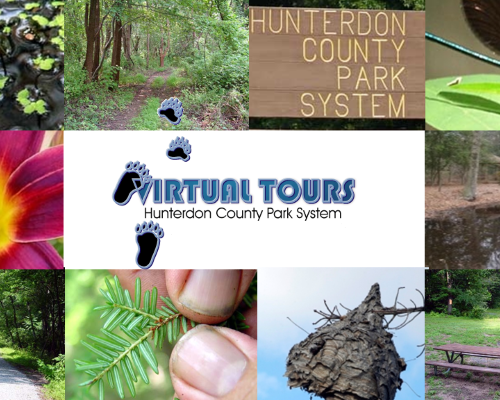 Explore your Hunterdon County parks with Recreation Leader Patrick Eckard! Meet Patrick Eckard at each location and he will introduce you to the beauty of the parks as he inspects the trail systems. He will tell you the history of each park as you get some fresh air and exercise. Then come back on your own to hike the trails at your leisure. These trails are easy to moderate hikes. Cost: $60 per 12 week session, pre-registration required! Square dancing is an official dance of New Jersey. It gives people the opportunity to make new friends while getting low-impact aerobic exercise at the same time. It is a great way to keep your heart healthy and your mind sharp. 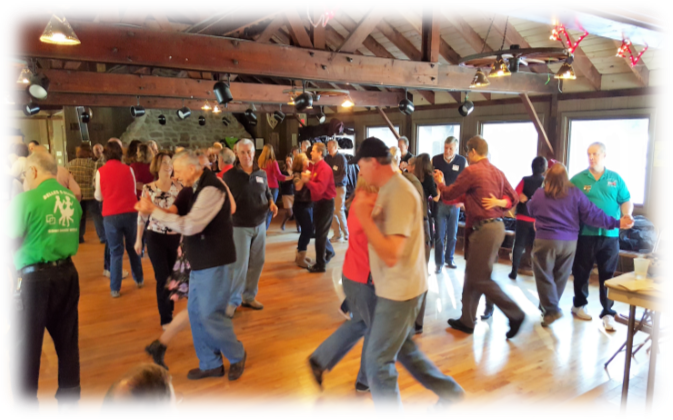 The instructor, Mary Moody, has taught hundreds of people to square dance in an enjoyable, fun-filled setting. She stresses repetition and review, building from easier to more complex moves for ease of learning. Students who have completed Basic lessons may dance at special area dances. Students who complete both Basic and Mainstream lessons may dance at clubs around the world, including bi-weekly Friday night Hunterdon Flutterwheels dances at Echo Hill Park. 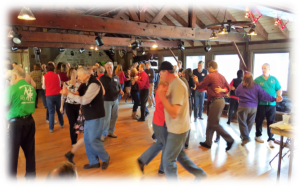 After becoming proficient in Mainstream you are ready for lessons in the next square dance program – Plus – with instructor Mary Moody. Are you an Educator, Scout Leader, Community Organization? Let us do a program for your group! Unless otherwise noted, cost is $30 on-site, $50 off-site, $75 out-of-county (limited range). 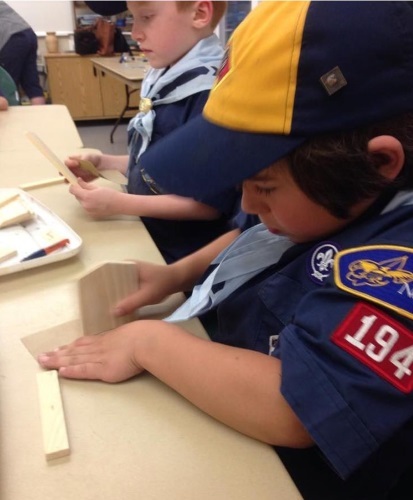 Bring your group to a nature or recreation program, like Woodworking! *For more information on advanced classes or larger groups, please ask for Liz. FIRST AID CERTIFICATION, Grade 7+, 3 hrs, $25/person, 4-6 participants. Call for price for CPR/First Aid together. Basic Carving class also available. 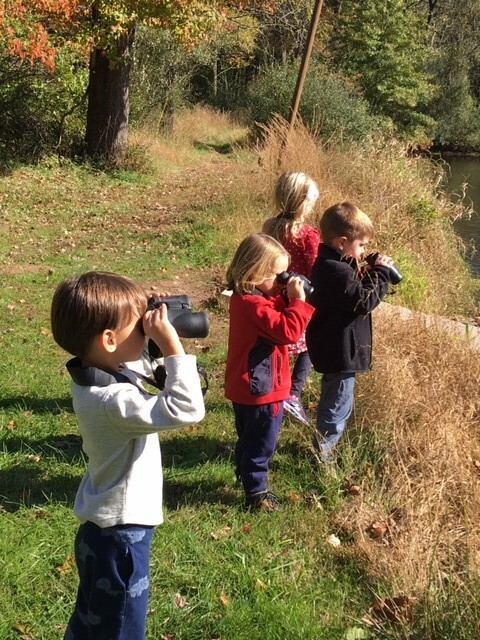 Enjoy a walk in the park or at your school and take your group birding with a naturalist! For program descriptions, see our Group Programs brochure on our website or pick one up at the Arboretum. Call us to register at 908-782-1158 or email parks@co.hunterdon.nj.us.